Rene Russo or Michelle Pfeiffer? Because we don't have the luxury of spending hundreds of thousands of dollars on anti aging and other skincare treatments like the celebrities do. They'd mostly look like any other woman on the street without all of their money. I would guess the same reason most men don't age like George Clooney or Robert Downey Jr (or...Javier Bardem, Daniel Craig, Pierce Brosnan, etc.). Last edited by Green Irish Eyes; 12-21-2012 at 12:07 PM.. It's true, they do! I am amazed how lovely older black men and woman are!!!! Yeah, show me average Jane twenty years ago and today, I don't care if they are black, white, or in between, they are not going to look like celebrities. 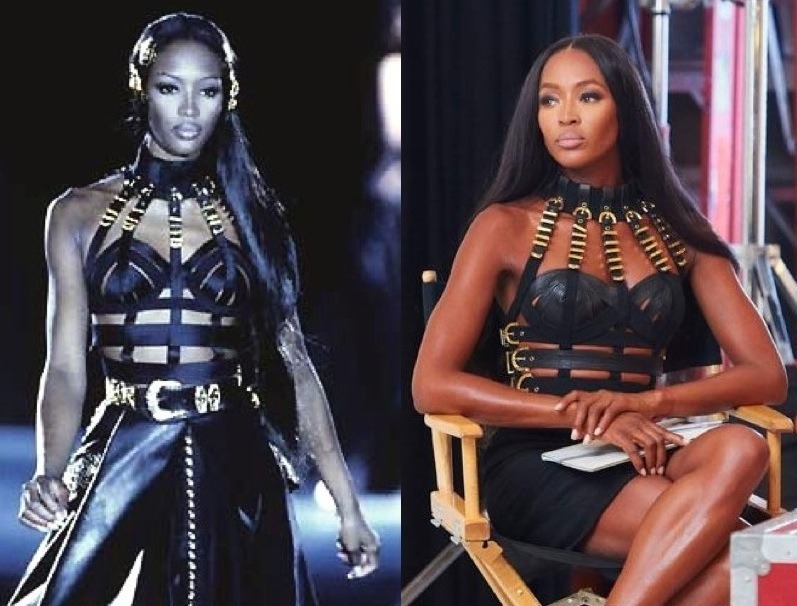 Um, BTW... why is Naomi wearing essentially the same outfit twenty years later?!!! Its called regular maintenance and proper care. How is that thing going to look down the road? I really like these comparisons. Not because I think these celebs look bad, but because I see they can look "normal" as anyone else. Albeit a lot of them are naturally beautiful still :P.
Unless you have met these people face to face you don't know how they are aging. Between makeup, photo shopping and tricks with lighting and camera lenses anyone can be made to look much better than in person.